First published July 13, 2018 , last updated April 8, 2019 . Reading time: 5 minutes. Let’s face it. Facial hair is now becoming an accessory as it gives additional points for attractiveness. Stubble trimmers are now important tools to maintain facial hair. Is stubble trimmer the same as beard trimmer or nose hair trimmer? No. However, they have similarities. A beard trimmer maintains beards or longer facial hair while a stubble trimmer maintains short facial hair. It is important to know the differences between the two in order to achieve the style that you want to have. 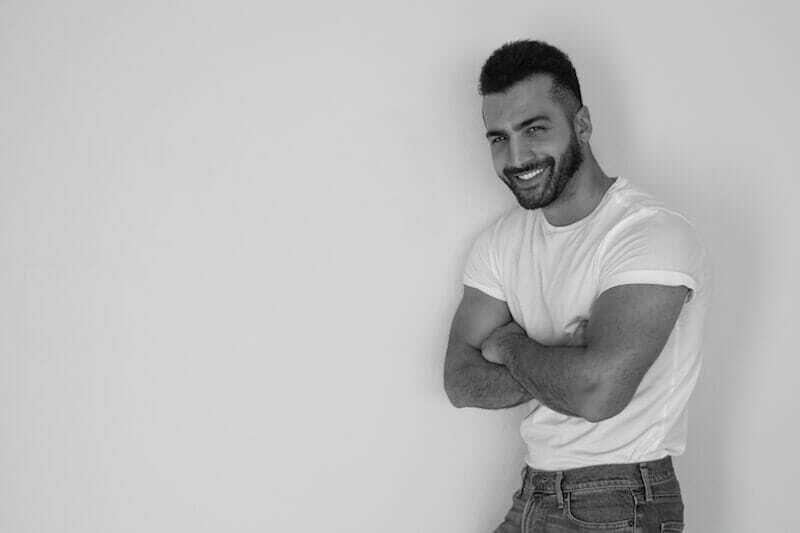 To make it easier for you, here is the list of the best stubble trimmers in 2018. Best-rated trimmer on Amazon replaced our initial choice in this update. Since stubble trimmers are typically not used professionally, one of the most important characteristics is the price. And this pair of trimmers trumps a very low one. On top of the price criteria, the buyers love this product, saying it “lifts the hairs up for a smoother, more efficient shave” and loved “nice weight to and great design” (these are quotes from actual reviews). Keep in mind though, that at the price point, we’re not looking at a long-lasting product. Make sure to get your Philip warranty, use it if needed, and be ready to buy a replacement device in a year or two. This All-in-1 grooming kit gives you the power to look your best whether staying at home or going to work and events. The lithium battery gives up to 65 minutes of runtime without cord so you can achieve the style that you desire with the self-sharpening, surgical steel blades. The Remington PG6025 includes 8 attachments for attending all your needs. 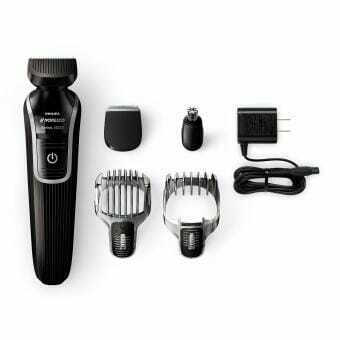 The package includes full-size trimmer, hair clipper comb with 8 length settings, foil shaver, nose, ear and detail trimmer and 3 beard and stubble combs. All attachments are washable so you can simply place them under the faucet for regular maintenance. View all the accessories you’ll get with this trimmer! This best stubble trimmer features the power, precision and durability that is required in order to have a clean-cut and smooth look. Its lithium ion power performance provides dependable cordless usage even with low power level. This trimmer has 15 length settings that let you maintain your desired facial hair. We can’t list prices on this website. Click here to check the price of this Conair trimmer! The Conair for Men I-Stubble comes with an advanced ultra-flexing contouring head that follows the contour of your face for smoother and cleaner style. It also includes a protective comb guide to achieve consistency in length. The comb is removable so you can use the blade for trimming in details. It also features length setting memory so you do not need to set it up again as it will store automatically from the previous setting that you used. This product has durable and sharp 45 degrees angle stainless steel blades that quickly cut and clean for facial and body trimming. It has 39 precision that allows you to personalize your trimming, sculpting, cutting as well as detailing. It has three comb attachments and quick-adjust trimmer dial. The Panasonic ER-GB80-S is designed with rubberized grip so you can clean and trim with comfort. This product is also water resistant so you can use it even under the shower. The package also includes AC charger, universal voltage for travel and cleaning brush. TRYM II is one of the safest solutions for hair trimming. It includes four trimming attachments (1.8mm, 3mm, 6mm and 9mm) so you can use this product for other parts of your body. The design and the stand also look great so you can place them on the bathroom counter and use it right away without having to search in every drawer. Click here to see the one thing customers complained about TRYM II. A cleaning brush is also included as well as blade oil for powerful and precise shaving. If you prefer precision more than multiple length settings, this best stubble trimmer might be the right one for you. The Philips Norelco 3100 gives comfortable and safe trim. Its self-sharpening steel blades ensure long lasting performance. It also comes with comb and skin-friendly rounded blade tips to prevent cuts or skin irritation. 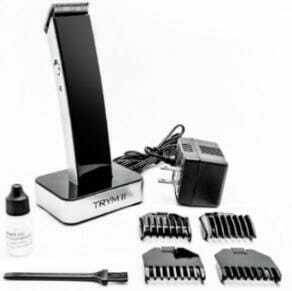 The package also includes five attachments for all styling and trimming needs such as detail trimmer, full trimmer and nose trimmer. Click here to see why this trimmer boasts a 4.5 star rating on Amazon. 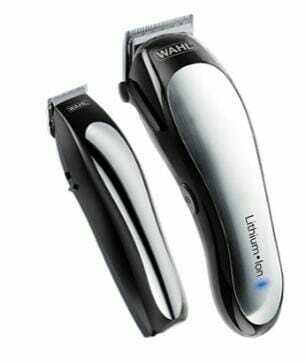 The Wahl Lithium Ion Clipper gives two hours of running time with only ten minutes of quick charge. It is also cordless which provides you better trimming experience. Its durable and self-sharpening precision blades can cut through different hair types. 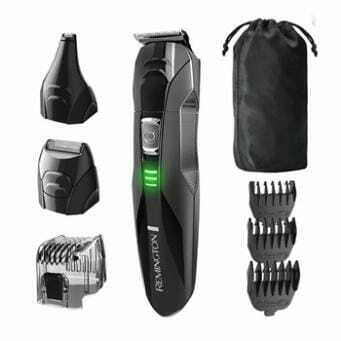 This best stubble trimmer includes multi-cut clipper, blade guard, soft storage case, barber comb, cleaning brush, eye brow guide, detail trimmer, hair clips, barber cape, 14 guide combs and ear tapers. Click here to see if you can get free shipping with this trimmer. 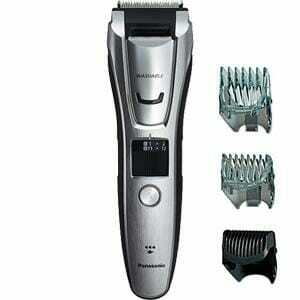 For more cordless hair clipper reviews check here.